When the state suppresses information and instead feeds its people with lies, there has gotta be one institution that will speak for the mass- the press. But what if the state, itself, abuses their power to neglect even the press? Uncannily, I am not just talking about the current situation in the country but also about the events that inspired the film The Post. Steven Spielberg’s 1970’s drama took its inspiration from the attempt of The Washington Post to publish the Pentagon Papers classified to hide USA’s three-decade long involvement in the Vietnam War. 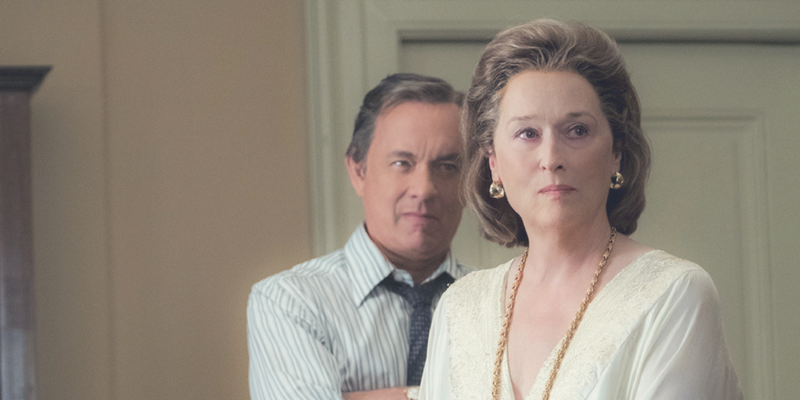 Meryl Streep plays the role of Katherine Graham, the first female publisher for a major American newspaper while Tom Hanks brings to life Ben Bradlee, the paper’s editor-in-chief. As the head of a small-then newspaper, Graham worked under pressure to keep the business at its feet. They knew that all it takes is a big story to catapult them to success. With the classified information now leaked, The New York Times had the story first. What then comes after is a series of chasing leads and scoops for more information. While the press is on the hunt for more pieces of the papers, the White House retaliates by taking Times to court, barring them from further publishing. Spielberg’s adaptation of the real life events comes at a perfect time. The uncanny relevance of it to what’s happening now in most parts of the world such as the Philippines and the USA is disturbing. The involvement of the government in dubious affairs are now, and must be revealed to the people through the press. But with the government restricting every member of the press who exposes them, what now? The incredible cast of the film elevated what could potentially be an all-talk narrative. Well, partly it is. With Streep and Hanks at the helm, though, one can expect nothing but greatness. Spielberg’s masterful direction created a thriller out of a mundane political drama. The Post is a essential watch to remind the people of the power, freedom, and responsibility of the press.